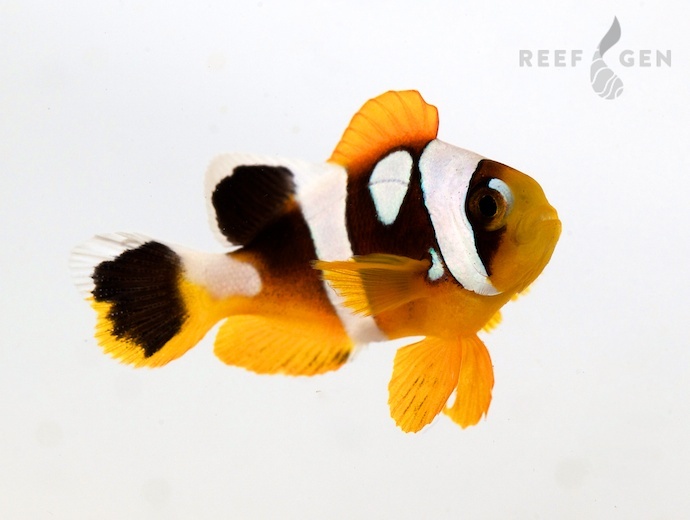 Ultra-cinctus are our premium clowns guaranteed to all have great markings. Our ultras have it all: skunk stripes, groucho brows, and polka dots! Their dots come in singles and pairs sometimes above their pectoral fins and other times by their tails. Our ultras have parents with big beautiful spots on both of their sides.